Did you know there is a tabletop game company that has made over 26 million dollars through Kickstarter? And did you know that tabletop game companies could become so successful that they go public (become traded on the stock market)? At least not until I learned about Chern Ann Ng and his company CoolMiniOrNot (CMON). Though I do want to give you a quick summary of what I did know about Chern and CMON before he took his company public on December 2, 2016. November 2015 – I asked my brother what his best friends favorite game at BGG con was this year. He said “Blood Rage” without hesitation. And I haven’t stopped hearing about Blood Rage since then from people all around the world. November 2016 – I created some polls to get feedback from the board game community during this time. It was around the time of Streamlined Gaming’s launch on November 4th. We ended the poll with multiple people voting for it. Oh and I also noticed a lot of CMON’s games on Kickstarter throughout the year too. But I didn’t connect all of the dots until I read up about CMON after they announced they were going public on the Hong Kong Stock Exchange (HKEX). Several ways you can keep up to date with Chern and CMON. See his companies portfolio of games at his new website. 1. What was your original vision for CMON back when you created it in 2001? It was just a site for fun – we saw Hotornot (a website that lets users vote on whether a person looks “hot” or “not”) and thought it might be cool to do something similar but for painted miniatures instead. It was an idea that “clicked” with a lot of the hobby community and it sort of took off from there. 2. What were your goals for CMON in 2001? Nothing really, it was a bit of fun – a community site by enthusiasts like us for enthusiasts like us. After I left Razer in 2008 I decided to see if there was something we could do with the community that we’d built for 8 years. We experimented a bit with being a boutique webstore, selling our own line of miniatures, publishing miniature war games etc. I got into miniature war gaming when I was a teenager – it was a lot of fun putting together the models and painting them, and then playing battles that lasted the entire day, poring over rulebooks to devise winning strategies. But as I got older, the time commitment required for the hobby was too much, and I realized there was a market for a miniatures game that could be played, without assembly or preparation straight out of the box, in an hour or two, and be packed away in the box it came in. That’s when we began publishing board games in earnest in 2011. 3. Talk about some of the major accomplishes you have seen with CMON since you first began. I’m especially proud of the fact that we pioneered the $100 premium board game category. We were told by everyone in the industry that no one would want a $100 boxed game, but it’s what we built our company on. The other thing I’m proud of is keeping our online community going for over 15 years! 4. All I have been hearing about lately is “Blood Rage Blood Rage Blood Rage! !” What are some things you and your team did to make Blood Rage such a successful game? First, assemble a dream team – Eric Lang (game design), Adrian Smith (art) and Mike McVey (miniatures). The very metal Viking theme of dying gloriously in battle was brought to life perfectly by the game design, art and miniatures. It’s a very good game, and while it’d still be as good a game with wooden meeples on a solid-colored board, the extra production effort spent breathing life into it made Blood Rage something very special. 5. How many people work for CMON? We have about 50 people all over the world. We’re a fairly modern company, we don’t all have to work under the same roof to get things done. There are so many collaboration tools available, like Slack, Skype, Dropbox etc that make running a global company much easier than say, 10 years ago. We’re planning to publish 18 games next year, and that’s with a very small team. I think it’s far easier to get the best if you can recruit from basically anywhere, and if you have the best it’s easier to outperform. 6. What are some new challenges you face now that CMON is a publicly traded company on the Hong Kong Stock Exchange (HKEX)? Our results are visible now and a matter of public record. So it’ll be pretty easy to tell going forward if we’re having a good or bad year. That said, I think at our size the added discipline and professionalism required on all levels will be very helpful for our growth. 7. Which of your games do you find the most fun to play? I enjoy the Zombicide series very much since it’s easy to teach yet gives the perfect zombie film vibe. Lately however, I’ve been playing Ta-Da a lot with reporters since it’s fun to make them do silly things. 8. You have had amazing success with Kickstarter and seem to have your campaigns down to a science. How many people work on your Kickstarter campaigns? In the beginning, it was just me, a graphic artist, and a project manager. In most respects this hasn’t changed, except that I’m not as involved in the nitty gritty of the campaign as I used to be. 9. How long does it take your team to create a Kickstarter campaign? Typically a Kickstarter campaign is planned when the game design is nailed down, but before production work on art and sculpting begins – that planning continues all the way through to the Kickstarter launch. This may mean many months of fairly light preparation, which intensifies closer towards the planned date. 10. How much money do you spend on marketing each of your new games? We don’t spend a lot on marketing – the grass roots stuff seems to work best for us (mailing lists, Facebook page, convention attendance etc). This may change in future as we make more casual titles that would benefit from a broader approach. 11. What are your goals going forward? In the short term, get the company on to the main board of the HKSE. There are some profit targets we have to meet to do that. We’ll do this by expanding into the China market, and also address South America much more aggressively. Tell us one thing you thought was interesting in the comments below. And if you liked this interview, don’t forget to sign up for our email list to get updated about our latest interviews. 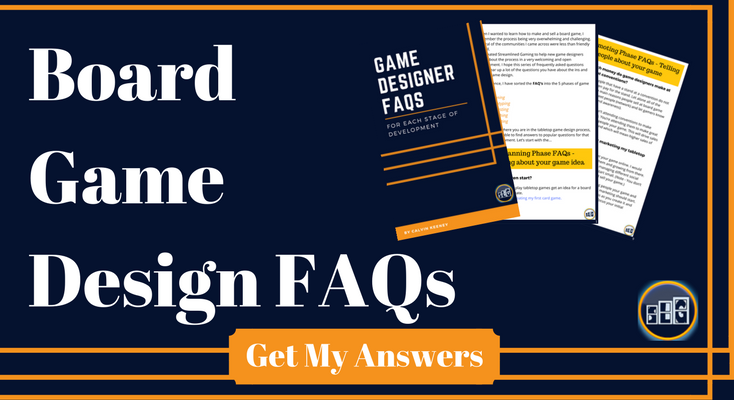 Chris Amburn (KS) takes you through his process of making a card game. KC (Nigeria) tells me how he is uniting Africa through his passion of game design. Kerry Keith Murdock (UT) shows us how he is mastering the art of game creation. And Yang Pulse (TX) teaches us how to make a digital card game. I had no idea that that kind of money could be generated thru kickstarter. I have watched the gaming business since the 70’s. I never dreamed it would become such a profitable business. And to think gaming companies are going public. Unbelieveable to go from a “fun” hobby type business to 26 million. That is crazy. Can’t wait to see what happens over the next 20 years. Enjoyed the article. Thanks mom! I thought it was pretty awesome too. As a fan of both gaming and the stock market, I found it really cool that Chern took his company public. That is amazing!